How do we maintain wildlife habitat and biodiversity? Ontario ensures that wildlife can thrive in our forests by maintaining a diversity of habitats, protecting critical and sensitive areas, and keeping special features like old trees or nests. Scattered tall trees act as lookout towers for birds looking for their next meal. Trees with needles (coniferous) provide cover during a winter storm for deer and small animals. A mixture of different species of trees also help to provide a variety of foods and habitats. Overall, structural and species diversity are important in supporting a diversity of animals. The forest is full of a variety of habitats – and while all parts of the forest are important, there are some areas that are more sensitive and critical than others. Water features including ponds, rivers, streams and lakes require important protection. Taking special precautions around water bodies or protecting an area that may only be flooded for part of the year (vernal pools) ensure that special and endangered species are cared for. Species at risk are identified and included in forest planning, and may involve protecting habitat or only going into the forest during certain times of the year. Old or dying trees provide important homes and resting areas for many species of wildlife. Cavity trees are trees with holes, are used by birds and small mammals for homes, to hunt from or can be used to hide from predators. When working in the forest it is important to identify these important trees and ensure that a certain number are protected to allow wildlife to thrive. Did you know that different species of animals build different nests using a variety of materials? Where a nest is located, what materials were used to build it, and the condition the nest is in are all used to identify what type of bird uses the nest and help determine the right level of protection to apply to it. Knowing how to identify nests and what to do when they are encountered is important knowledge for working in the forest and something forest practitioners are trained to know. Below are some examples of how species are cared for in Ontario’s forests. 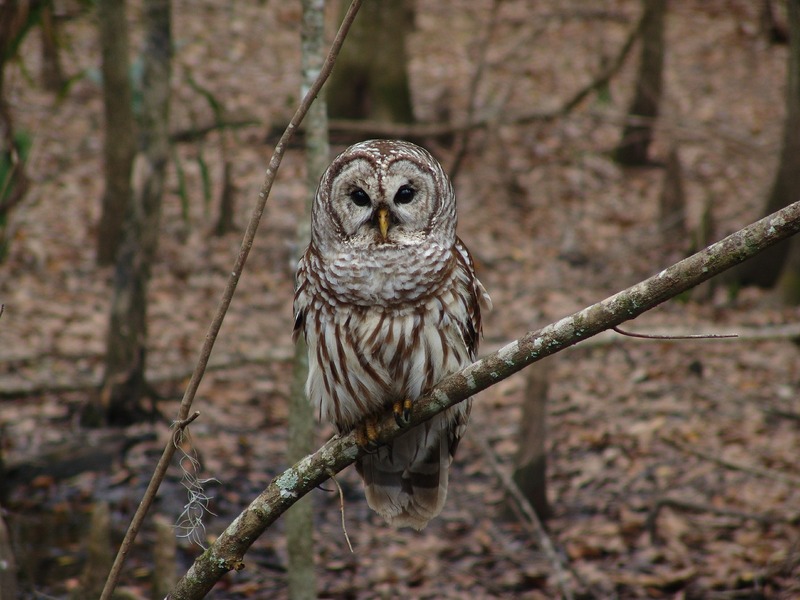 Did you know that the Barred owl can be identified by its distinct hooting call “Who cooks for you? Who cooks for you-all”? Barred owls are fairly common in central Ontario, although they are often hard to see due to the fact that they are usually only active at night. 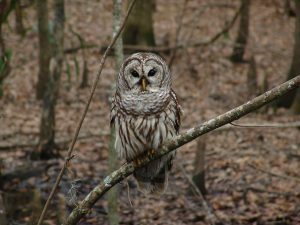 In Ontario the nests of barred owls and other bird species are protected during forestry activities. Did you know that the snapping turtle is Canada’s largest freshwater turtle? Ontario is home to many types of turtles. Although turtles spend a lot of time in the water, they come up on land to travel between wetlands and to build nests for their eggs. 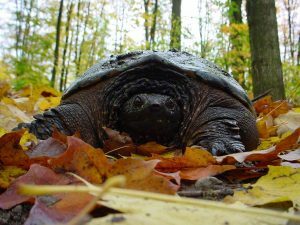 Forestry practices in Ontario make sure that nests and other turtle habitat requirements are protected during active operations. Did you know that Ontario, most notably Algonquin Park, makes up the last remaining habitat for the eastern wolf? 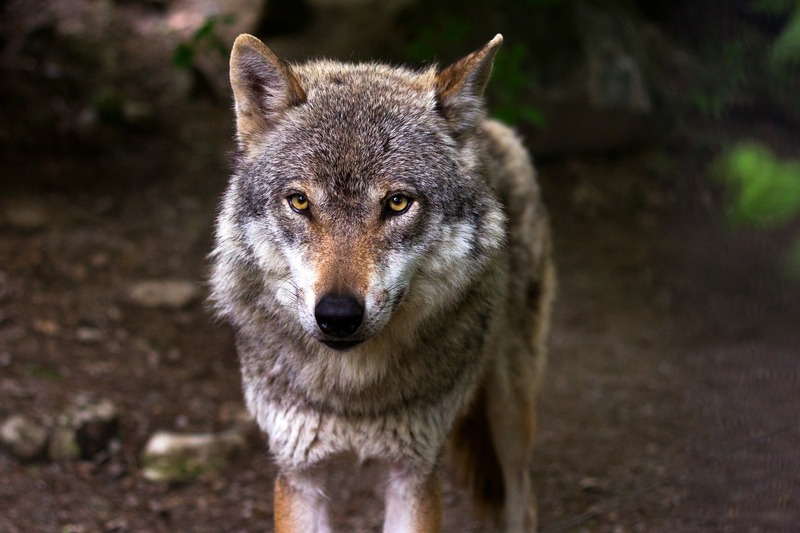 Wolves are present in Ontario due largely to the responsible way in which we use the forest. In fact, it is believed that forestry can help improve the habitat for wolves by creating better habitat for its prey, including beaver and moose. 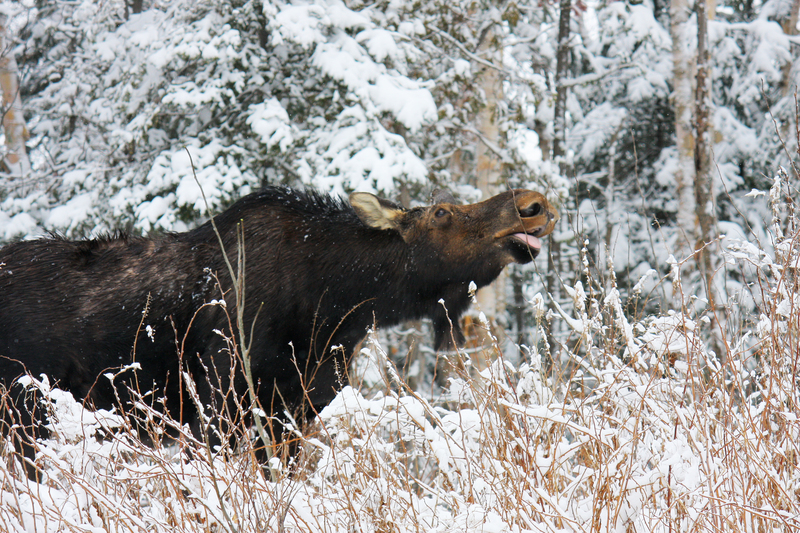 Did you know that moose like to eat young plants and trees and that they depend on these food sources for their survival? 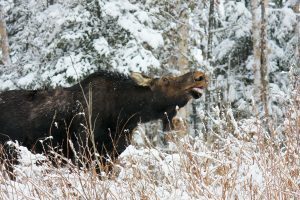 Through wise management, foresters and biologists are able to create the browse (young trees and plants) moose need for food while also maintaining important tree cover to keep them shaded in the summer and warm during the winter. To learn more about how we manage for wildlife in our forests, visit Conserving Biodiversity at the Stand and Site Scales and Wildlife Management.